Today I’m going to flip through the pages of 2017’s The Book of Henry, directed by Colin Trevorrow. The Book of Henry was directed by Colin Trevorrow, whose other directorial credits include Jurassic World, Safety Not Guaranteed, and the upcoming Jurassic World 3. The film’s screenplay was written by Gregg Hurwitz, whose only other prominent credit is writing for the television series V.
The cast of the film includes Naomi Watts (King Kong, Mulholland Drive, Birdman, Tank Girl), Jaeden Lieberher (St. Vincent, IT, Midnight Special), Jacob Tremblay (Room, The Predator), Sarah Silverman (School of Rock, The Sarah Silverman Program), Dean Norris (Breaking Bad, Total Recall, Under the Dome), and Lee Pace (Guardians of the Galaxy, Halt and Catch Fire, The Fall). The cinematographer for the film was John Schwartzman, who has shot such movies as Pearl Harbor, Seabiscuit, Armageddon, The Amazing Spider-Man, and The Rock. The editing for The Book of Henry was done by Kevin Stitt, who has cut quite a few major features over the years, including Paycheck, Cloverfield, X-Men, Elektra, Lethal Weapon 4, and Jurassic World. The music for The Book of Henry was composed by Michael Giacchino, who also provided scores for Inside Out, Coco, Spider-Man: Homecoming, and Jupiter Ascending, among others. Apparently, the screenplay for The Book of Henry was originally written as a black comedy in the late 1990s, but Colin Trevorrow had it altered significantly to make it less comedic and more dramatic to fit with his vision for the story. The initial poor word of mouth surrounding the release of The Book of Henry has been considered as one of the primary reasons Colin Trevorrow was released as director of Star Wars IX, as many had already questioned his competency to handle the task prior to the flop of Henry. Currently, The Book of Henry holds a 6.6/10 IMDb user rating, alongside, Rotten Tomatoes scores of 20% from critics and 63% from audiences, making for a fairly mixed reception. Financially, however, the film was an unambiguous failure, taking in a lifetime theatrical gross of $4.5 million on a production budget of $10 million. a…sort of Rube Goldberg machine: one that seeks to draw out simple human emotions through precisely engineered (but still ridiculous) mechanics…However hard the talented cast may try, those aren’t people up on the screen; they’re candles, balloons, and marbles. This is one of the most adept criticisms of the film I have come across – the characters really don’t feel tangible, as if they are just cogs and mechanisms engineered to fill a specific role. Outside of a few brief moments where Naomi Watts gets room to genuinely play the role of a grieving mother, the performances all seem rigidly trapped in defined molds, as to perform their function and nothing more. I don’t think it is at all fair to level this criticism at the actors – they clearly are doing what they can – but the writing and directing that they are beholden to makes their work effectively impossible. Another film critic, C. L. Reed, noted in his review of the film that “there is nothing wrong with The Book of Henry that a good script could not fix.” I would go a step further than that – the problem here wasn’t just the script, but Trevorrow’s adherence to it as the director. His vision took precedence over the original screenplay – which he twisted and contorted it to fit within the boundaries he desired. Once it suited him, it clearly became fixed in his mind – since he tinkered with the script to his personal specifications, the odds that he would take input from others on it is very slim, ever if their criticisms were valid. I would wager that issues with his version of the screenplay were brought to his attention from multiple sources, but that he couldn’t and wouldn’t address them. 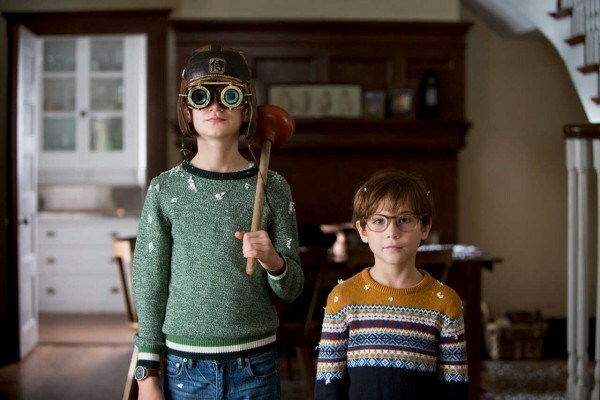 In his review for Paste, Andy Crump referred to The Book of Henry as having an “exact imbalance of bonkers incongruity” and called it an “inexplicable hodgepodge.” I think this gets at one of the core issues of the film – its tone. This is the other consequence of Trevorrow’s manipulation of the screenplay, and subsequent direction of the film. He took a film of one genre, and forced it to become another. What results is a screenplay that is still rife with vestigial fragments of the dark comedy it once was, but with a hard dramatic veneer. It is coarse where it should be smooth, and jagged where it should be round – it is just obviously the wrong damn shape from what it was and should be. Unlike a hybrid, genre-bending movie like Hot Fuzz or The Cabin In The Woods, the multiple genres aren’t synthesized or merged in an effective manner – they are ad-hoc pieced together by twine, Elmer’s glue, and wishful thinking. It is a bad look stylistically, like having your sleek, modern dining room decorated with a rusty, dilapidated Volkswagen. 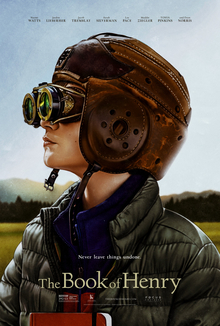 All of that said, there is definitely some weird potential in The Book of Henry, and I would have been interested to see the off-kilter dark comedy it was written to be. The cast really do their best, and Watts gets some good emotional moments here and there. It is a shame that the movie doesn’t stylistically lean in to the bizarre hyper-reality created by the characters as they are written. 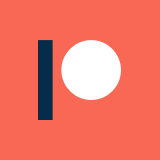 Instead, this is a flat, unremarkable vision and execution layered on top of something that is, at its core, fundamentally twisted and perverse. I’m not sure if The Book of Henry is a recommendable movie or not – it sounds more interesting and intriguing on paper and in summary than it actually is. If you only watched Dan Olsen’s reviews of the film, you would both get the gist of the film, and not have to deal with the arduously dull and faux-cutesy process of having to actually watch the damn thing. However, this is one of the more bizarre flops of recent years, and is probably worth checking out for bad movie aficionados for that fact alone.